Whoever told you that young people have the most fun haven’t seen how these seniors are spending their retirement years. Today, senior living enables your loved ones to get the most out of their golden years by keeping them independent, social, and active. 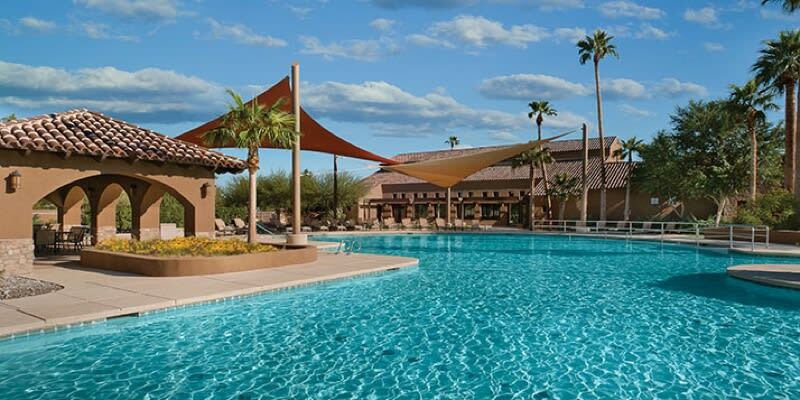 These communities aren’t the boring retirement communities of yesteryear. 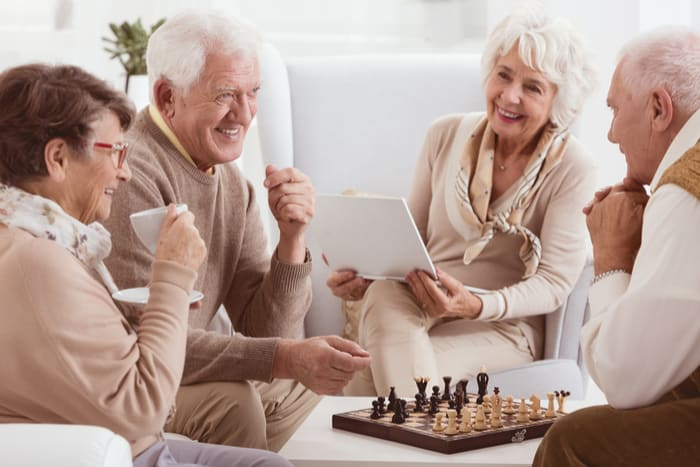 Instead, you’ll see seniors actively participating in fun activities like yoga classes, shopping trips, Wii video game parties, dances, poker tournaments, aqua aerobics, movie nights, and much more. It will make you want to sign up for living there too, but have patience! You'll have to wait a few more years before you can qualify as a resident. Social activities like fitness classes, game nights, bingo, and more, which keep your loved one entertained and always having something to look forward to. On-call nurses and medical professionals who can help your loved one get up from a fall or aid in any other medical emergency – giving you peace of mind when you’re away. Homes equipped with senior-friendly appliances, bathrooms, and floorplan to prevent falls and provide easy access to contact 911 or assistance as needed. Routine well check-ups and meal deliveries for seniors who are unable to cook for themselves. Regular transportation to local shopping and volunteering opportunities, giving your loved one fresh air and a change of scenery without needing to drive. Maximum personal freedom by being less intrusive on a senior’s lifestyle. Studies show that having something to look forward to decreases the chances of being depressed. A community full of friends and activities definitely serves this purpose. Also, staying active and able to do basic tasks on their own greatly improves your loved one’s outlook on life. By having a home that’s adjusted for independent senior living, a senior who just needs help occasionally can have access to doctors and nurses without moving into an expensive nursing home. Overall, senior living communities simply help our seniors out on occasions they actually need help, while letting them be adults with their own agenda for the majority of their time. The ability to live normally for a longer period of time helps your loved one save money and increase their quality of their life.